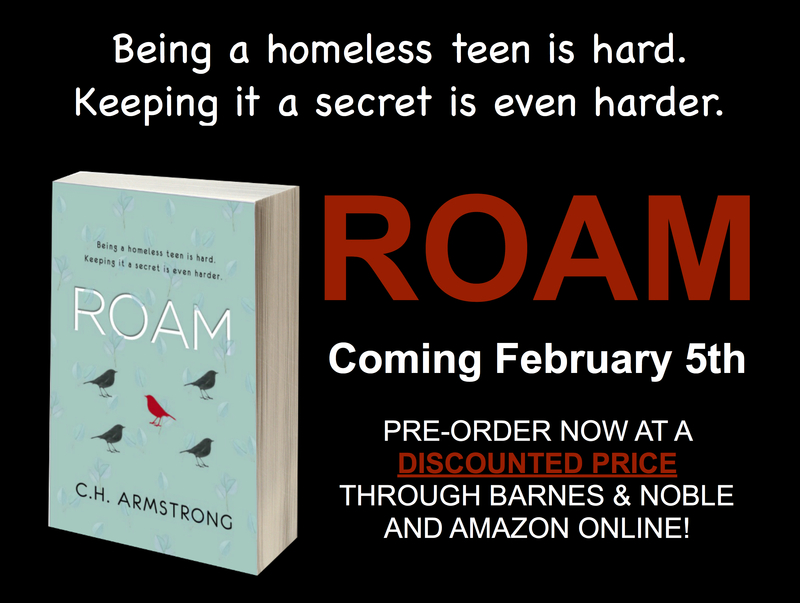 As the release day for ROAM approaches on February 5, I am currently scheduling no-cost On-Site or Skype visits for schools. WHY SHOULD TEACHERS SCHEDULE AN AUTHOR VISIT WITH C.H. ARMSTRONG? ROAM has been called “a study in empathy.” Utilizing the messages of Atticus Finch in Harper Lee’s epic novel, TO KILL A MOCKINGBIRD, she brings home to students the importance of empathy and understanding in a language teens can understand. After all, as Atticus Finch so eloquently stated, “You never really understand a person until you consider things from his point of view….Until you climb into his skin and walk around in it.” (Excerpt from To Kill a Mockingbird). MINNESOTA/WISCONSIN/IOWA: If your school is within roughly 90 miles of SE Minnesota, let’s talk! Send me an email through the contact form below and I’ll be happy to see if we can coordinate schedules. At the present time, I am NOT charging for these local visits; however, I would appreciate if students had the opportunity to purchase copies of ROAM in advance of my visit through an on-site book order initiative, which can usually be coordinated with your local book stores. Please let me be clear: I do NOT want any student to EVER feel compelled to purchase a copy of ROAM, and my visit is NOT contingent on any pre-purchase “campaign.” I simply request this option because experience has taught me that there are always students/teachers/parents who request copies on-site and are disappointed that I carry very few copies with me. Pre-ordering gives students the opportunity to purchase a copy in advance to have signed and personalized at my visit. If your school is located within a 30 minute drive of any of the stops on my upcoming tour (see Events Page for more information), I am happy to try to coordinate a visit with your school if my schedule allows. Like the Minnesota/Wisconsin/Iowa visits, I am not charging for these visits at this time; however, I I would appreciate if students had the opportunity to purchase copies of ROAM in advance of my visit through an on-site book order initiative, which can usually be coordinated with your local book stores. As explained above, please let me be clear: I do NOT want any student to EVER feel compelled to purchase a copy of ROAM, and my visit is NOT contingent on any pre-purchase “campaign.” I simply request this option because experience has taught me that there are always students/teachers/parents who request copies on-site and are disappointed that I carry very few copies with me. Pre-ordering gives students the opportunity to purchase a copy in advance to have signed and personalized at my visit. I am happy to travel to your school. At this time I do not charge for the visit itself, but would require travel expenses (gas/airfare, food, lodging, etc) be covered in advance, and would (as above) appreciate if students had the opportunity to purchase copies of ROAM in advance of my visit through an on-site book order initiative, which can usually be coordinated with your local book stores. Please see previous sections for further explanation. Between February and June, I will be scheduling a limited number of no-cost 30-minute Q&A Skype or Facebook visits with classrooms. The format for these visits is informal, and is meant to be an opportunity for students to have face-time with an author to ask those burning questions they’ve been dying to ask. For more information or to schedule a visit, please use the contact form below and I will contact you. Do you have a particular date in mind?